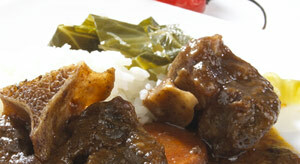 We are a leading specialist supplier of Caribbean ready meals in the UK. Having invested heavily in such a niche market we are able to offer the widest possible choice with the safeguard of stringent quality controls. Always making the end user as our primary focus, we continue to produce a range of ready meals that are culturally identifiable as they are delicious. As quality is not an exact science we are constantly improving what we do and how we do it. Whether this is the authentic wood smoking technique for Jerk Chicken or the quality controlled layout of our modern, purpose built factory. Our successful growth is underpinned by our full commitment to all stakeholders - customers, staff and suppliers to name a few.